Well known as a robust house plant all around the world, the Pony Tail Palm from Mexico can actually reach tree-like dimensions with age. It forms a huge, inflated base, out of which several slender, branched trunks arise. The numerous leaves in the fountain-like crown can reach a length of 1.5 m (5 ft.). 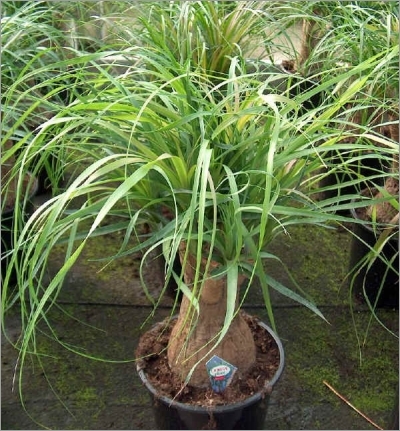 It is best suited to subtropical/warm temperate areas with only light frosts.